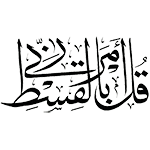 Shukran for your website with free calligraphy. I am an artist and I teach people (more guide them) into making their own paintings with Islamic calligraphy. Just like you, I also want people to have Quranic Ayah surrounding them rather than western art. My paintings are a combination of both, in that I paint modern abstract backgrounds and then add the Arabic as part of the painting. I have only been doing this for a few months and it has stirred up a craze, Algamdoelillah! 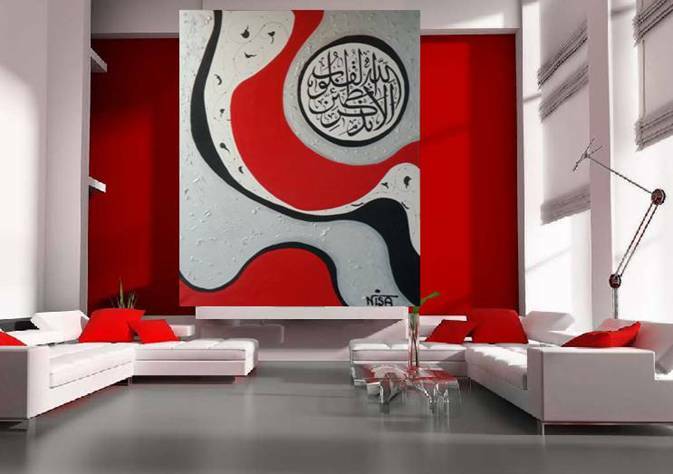 The wonderful but is that the young couples are drawn to this and decorating their homes with art that they have made – art that Includes the Quraan & Islam. I stumbled upon your page when I was searching for specific calligraphy for a student. Your website will certainly be a blessing as I am not a calligrapher and there are no calligraphy teachers here in Cape Town, South Africa. I have been battling to get new ideas to keep my students inspired… better than doing the same things over and over again! A huge SHUKR to you! My student wants to make a painting with Surah Yunus verse 9. The background would be as in the painting in the picture below but instead of using Surah Ar-ra’ad verse 28 in a circle, it should be Surah Yunus verse 9. 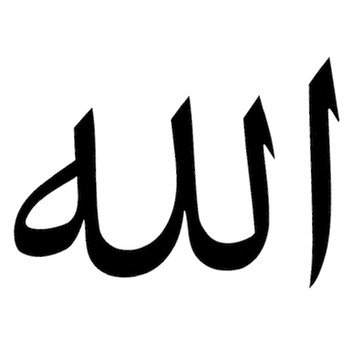 I can’t find any calligraphy for Surah Yunus verse 9 anywhere on your website. Could you perhaps help me? 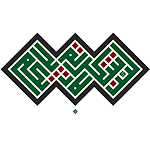 Shukr to you once again for a wonderful website… I am sure that we will be using it regularly from now onwards! May Allah reward you abundantly for your efforts, IA.